#KCTRAFFIC Two Wrecks are causing back-ups: 1) NB K7 at Donahoo in KCK is blocked. 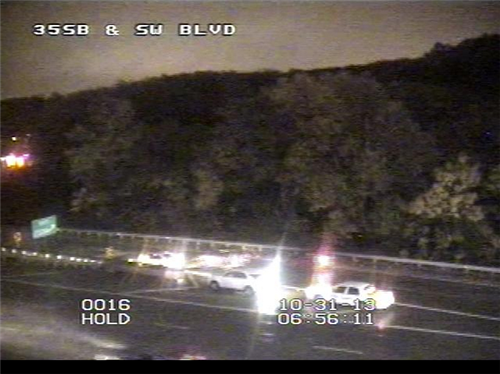 2) One lane of SB I-35 getting by at Cambridge in KCMO. STALLED VEHICLE: Right shoulder of I-435 SB before Eastwood Trfwy.